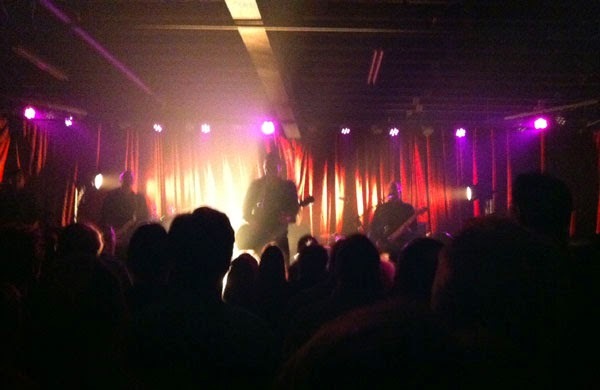 Last Friday night, I ventured to a warehouse-like club and re-ignited my fandom for the Afghan Whigs. Greg Dulli and the guys brought the power and showed they are still as fresh as ever. Their raucous 100-minute set included some old favorites from the ‘90s but a bunch of new songs that went over well. This was hardly a greatest hits performance. I should note that Dulli and John Curley are the only original members that remain in this group. Even so, this wasn’t Bruce Springsteen playing without the E Street Band. This concert got me thinking about what attracts me to the Afghan Whigs. Dulli’s characters are guys that venture into the dark sides of the human psyche. It’s aggressive music that isn’t always my thing, yet I’ve been a consistent listener since Gentlemen arrived in 1993. There’s just something about their mix of soul and intensity that captures my attention. I mention this concert because we spend a lot of time explaining why we liked a movie or TV series. It isn’t always easy to describe why a certain piece of art speaks to us, even if it seems to differ from our mentality on the surface. I’m on the far left side of the political sphere, yet I’m still drawn to the jingoistic “good vs. evil” tone of 24. That side of the show isn’t the real connector for me, yet it’s hard not to at least enjoy part of it to stick with the show. Neflix may use a crazily intricate algorithm, but the recommendations usually seem a little off base. The reason is that few of us fit inside a box of certain likes and dislikes. Sometimes it’s okay just to roll with it and enjoy the ride. If it means singing at the top of my lungs to “Going to Town” or “Fountain and Fairfax”, I can get with that program. Speaking of Netflix, they’ve found a way to sell the idea of materials at your fingertips while offering pretty limited content. Sam Adams of Criticwire effective presents this concept with his post “The Availability Gap: What We Lose When Netflix Wins”. He pulls an example from Jon Brooks at KQED Arts and uses it to discuss the unfortunate side of the streaming culture. We may have access to certain movies quicker than ever before, yet plenty of others are becoming harder to locate. I have the benefit of several great library systems plus a few video stores in St. Louis, but it isn’t that way in a lot of places. There have been some interesting examples this year of ways that smaller films have bypassed the traditional model. Snowpiercer is the type of film that you’d expect to see in theaters, but it received a very limited run. This was by design and helped The Weinstein Company and Radius to avoid the huge marketing and distribution costs. Dorothy Pomerantz at Forbes describes the importance of the way VOD and worldwide sales helped them to earn profits. Theater owners will not like this trend, and it continues to grow in the future. I’m a fan of pro football, but it’s been hard not to wonder if the sport has crossed a new threshold in recent weeks. It’s always been a violent sport that rewards brutal players, and the news about Ray Rice and Adrian Peterson puts a spotlight on that fact. There have been plenty of intelligent pieces written about this topic, but I was struck most by a short commentary from Hannah Storm. She’s been in the business for a long time and is finding it hard to sell the sport to her three daughters. This next item seems a bit less consequential compared to the previous one, but it still means a lot to me. Disney recently announced that they’re replacing the EPCOT attraction Maelstrom with a ride themed to Frozen. Building an attraction centered on such a popular film is a no brainer and totally understandable. However, there has been an uproar among fans because it’s going in the Norway pavilion in World Showcase. The hubbub may feel silly if you’re not a diehard theme park fan, but I’ll admit that it’s really struck a chord with my feelings about the direction of one of my favorite places. This post from the EPCOT Explorer does a great job summarizing the thoughts of many about this announcement. Thank you for sharing my post, Dan! I appreciate it, as well as your thoughts on it. No problem! It was a really interesting post and hit on a lot of things happening right now with film criticism. Really good post, Dan. I'm also a big NFL fan with daughters and struggle with what's going on. Honestly, I think I'm having the most problem with my girls' rather flippant attitude towards the whole thing. One is a teen, the other a tween, so they have an understanding of the issues as they apply to society as a whole, but really couldn't care less about these particular stories because they see them as just having to do with football which they have no interest in. Thanks for linking Sofia's post at Film Flare. That is a really interesting discussion. I don't agree with all of her points, but it provokes a conversation worth having. My girls are still very young, but being a dad has definitely played a role in my interest in that type of topic. It will be interesting to see where it's going in terms of the perception of the NFL. Glad you enjoyed Sofia's post and the discussion it generated. Great round up here, Dan. Thanks for leading me to Sofia's essay. What a courageous post on her part. Really appreciated your comment on that essay too. Thanks Alex! It's interesting to see where film criticism has gone over the past few years with so many blogs and other sites appearing. It can be great in some cases and frustrating in others. It's definitely an intriguing topic. 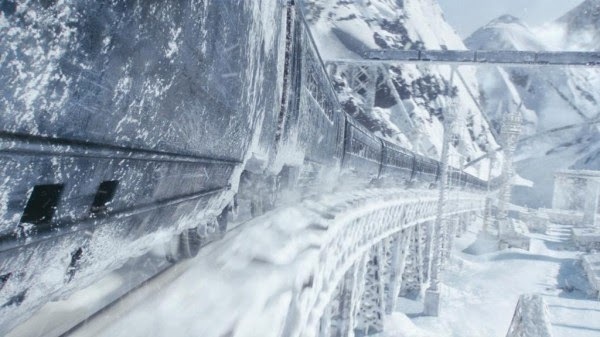 I've heard about the VOD push for Snowpiercer, though isn't it a film that is better suited for the big screen? It sure looks that way from the clips I've seen. So even if they avoided the huge marketing and distribution costs, it backfires on the people who (like me) wanted to see it in the cinema. I think it depends on the perspective. For an individual who likes going to the theater (I'm one of those), the experience would be better. Purely in financial terms, Snowpiercer wouldn't make enough in theaters to justify the costs and became profitable because they didn't push it into many theaters.